Contamination levels of recyclable waste are as high as 50% in some urban areas, resulting in increasing costs and penalties, and also lost opportunity for revenue. Compared to the 50% target set by EU for 2023, yield from recycling including energy recovery is currently at 34% for plastics – there’s still a long way to go. We believe that one of the root causes of this situation is lack of proper awareness among household consumers, who are willing to do the right thing but require more knowledge and tools. We want to address this knowledge gap with a fun and exciting solution. 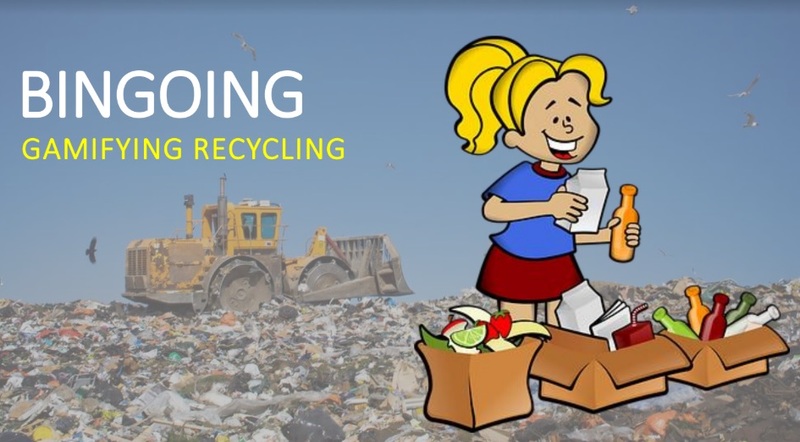 Bingoing teaches consumers about better waste management habbits, with a fun, social and competitive set of games. Richa Pathak, Founder. Engineer And MBA By Qualification, Banker By Experience And Social Entrepreneur At Heart. Passionate About Making An Impact For The World To Be A Better Place To Live In.